Image courtesy of the Harris County (TX) Sheriff's Office / Facebook. 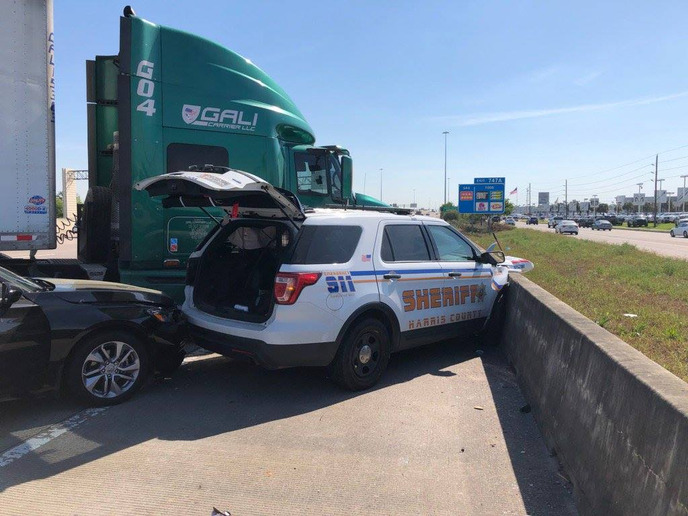 The agency said on Facebook that the deputy conducting a traffic stop "suffered an apparent injury" while dodging an 18-wheeler that crashed into his parked patrol vehicle and another car. If he had not been able to get out of the way he could have been seriously injured. "Please make way for first responders on our roads," the agency said.